Owning your own home is one of the greatest things you can do in your life. Your home is where you come to relax after work, have friends over for dinner, raise your family and spend most of days there. You spend more time at your home then at work, on the road or anywhere else. Now when you buy a house you inherit what the previous owner wanted it to look like but you want to make your house your home and that can be as simple as adding a coat of paint. Painting inside or outside your home can make a huge difference, whether its as simple as an accent wall or painting the entire room. So what happens if time isn't on your side but you really need your home painted? Sometimes life can get in the way, whether its work or family, so what can you do? You get a hold of the great people at Michiana Paint. Michiana Paint covers the entire Goshen, IN area. Michiana Paint have some of the most professional contractors in the area. The Michiana Paint professionals come into your home and take a look at what you want for your home. They go over everything step by step to make sure you get exactly the paint job you want, because if your not happy then were not happy. Michiana Paint knows that your time is money and they know that having people over in your home can be a large intrusion. Michiana Paint is the best residential painting company in Goshen, IN. But what a minute what if you just bought a business that needs a complete do over or the building still has the former business' paint scheme. Michiana Paint not only does residential but they do commercial. So call Michiana Paint and tell them you need help right now! 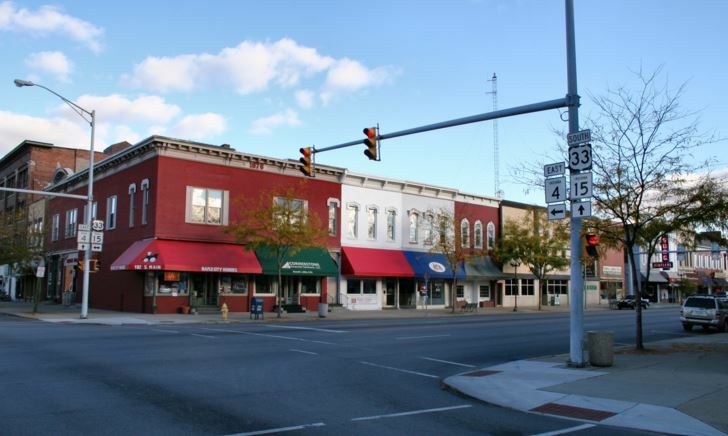 Michiana Paint contractors excel in commercial painting in the Goshen, IN area. They know time is money when it comes to your business and the sooner the contractors get the painting done the sooner you can get to start making money. Michiana Paint have some of the cheapest rates in the Goshen area. They strive to be not only professional but to get the job done right the first time. They know that if the workers have to keep coming back again and again, that will cost you money and your business is suppose to make money not spend it. Michiana Paint doesn't care if you need just a small office painted or the exterior of the a large building. They just want to make you happy and save you money. Michiana Paint knows that when a customer comes into your business the first thing they notice is the color and feel of your business. The feel of your business can make a customer want to buy from you or walk away. With the right colors your business can make a great first impression. So no matter what painting needs you have whether its commercial or residential and you live in the Goshen, IN area, contact Michiana Paint for all you painting needs. Michiana Painting is the best painting company in the Goshen, IN area.